Pakistan prime Minister Imran Khan had earlier said he believes there may be a better chance of peace talks with India and settling the Kashmir issue if Narendra Modi's party BJP wins the general elections. 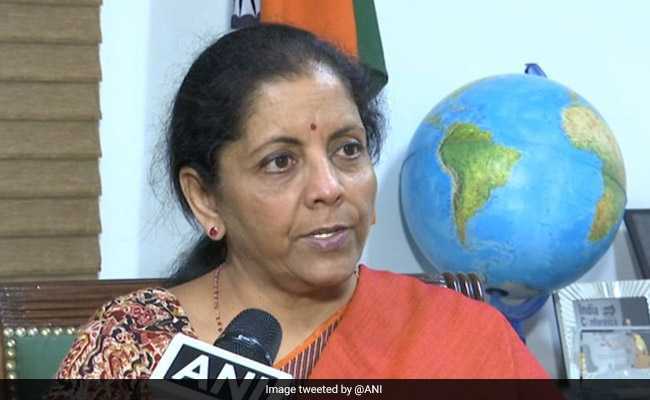 Reacting to Pakistani Foreign Minister Shah Mehmood Qureshi's claims that India was going to attack Pakistan between April 16-20, Ms Sitharaman said, "I don''t know from where he got these dates from. Good luck to him... God knows (who is his source in India), but it sounded very fanciful and amusing to me." "But then has the Supreme Court said that Modi ji gave this much money to Anil Ambani? Has Supreme Court said this? When has Supreme Court said this? Has Supreme Court even remotely said that PM Modi is not chowkidar and chori ki hai? Is this not taking liberty with the institutions? That too Supreme Court, where every word is well thought out... It is putting words into the mouth of the court and therefore if the court is looking into the matter, it is only fair," she said.